Why jump into the electric? Why go to electric violin? Why jump into the electric? If you are a classical violinist, that might be a question you ask yourself. Why go to the electric violin? And what are the advantages of the electric violin? These two questions apply as much to the electric violin as to any stringed instrument such as the cello or the viola, for example. It is obvious that a violinist will not use the electric violin to play classical music. Of course, classical music is associated with classical instruments and therefore with the acoustic violins. Nevertheless, for other styles of music, you will find many advantages in electric ones. First, be aware that an electric violin remains a violin. Even if few differences can be find between classical and electric violins. But you’ll be able to do most of the things you already did with your acoustic violin and more. New opportunities will open up to you! Moreover, with such a system, the violinist is no longer free of his movements. He must remain motionless in front of his microphone so that the sound pick-up is identical, which is very complicated when we get caught in the rhythm. 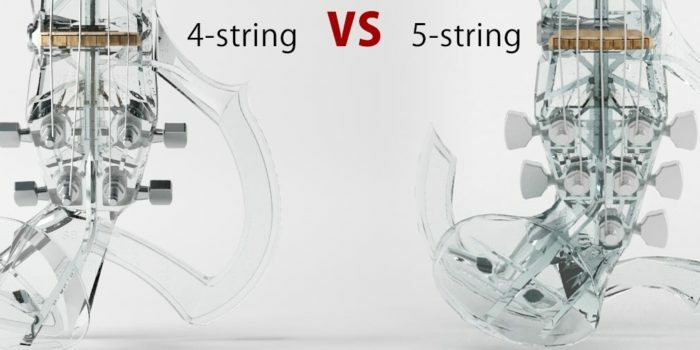 While there are dozens of systems allowing to sonorize a classical violin, there will never be as simple as to connect an electric violin. Be careful, we are not affirming acoustic violin’s sonorization systems are unreliable, but they are much less effective than simply plugging your electric violin. The top advantage of the electric violin will be a simplified sonorization system. 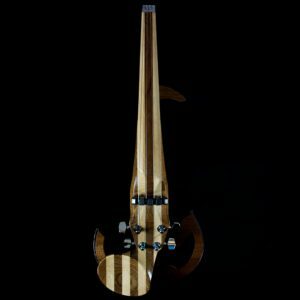 This is perhaps the most unknown element, but the most creative one of the electric violin! ‘Cause yes, just like it happens with the electric guitars, you can transform the sound of your electric violin with effects. There are dozens of effects. The best known are wah wah, distortion, reverb, delay, etc. These effects will allow you to add particular nuances to your sound. By using a looper, you can also become the violinist-orchestra capable of playing all the instruments on his own. This is a crucial and horrible point for any sound engineer. During a concert, the Larsen effect must be avoided to preserve the ears of musicians and the public. This very unpleasant hissing effect occurs when an amplified transmitter and a receiver of an audio system are placed close to each other. The sound emitted by the transmitter is detected by the receiver, which retransmits it amplified to the transmitter. Therefore, a loop is created and produces a signal that will increase in intensity until reaching the maximum frequencies of resonance of the audio system. The Larsen effect is created according to lots of parameters: distance between the transmitter and the receiver, the acoustic properties of the place, the resonance frequencies of the electrical components, etc. Feedback is one of the main problems of any acoustic instrument when we want to amplify it. With an electric violin, you can forget about feedback since there is no way it happens! The sound no longer passes through an external microphone. It passes instead directly from the instrument to the receiver, which prevents feedback to be created. Since the electric violin does not have a sound box, it cannot produce any sound without amplification. 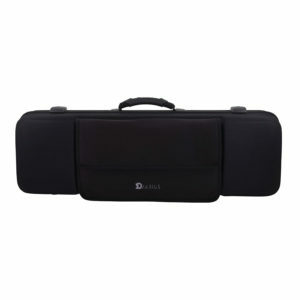 However, it can be used with headphones and an amp, what can make learning easier and maybe even delight your family and neighbors. We have all gone through a calamitous beginning of learning for our loved ones… and being able to play without sharing your learning is a real relief. Did made up your mind and want to get into the electric? Do not hesitate to ask us for advice. We’ll be happy to help you. 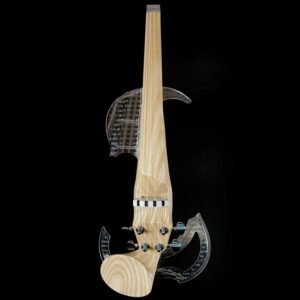 How to connect an electric violin? How to transition from a 4-string to a 5-string violin? 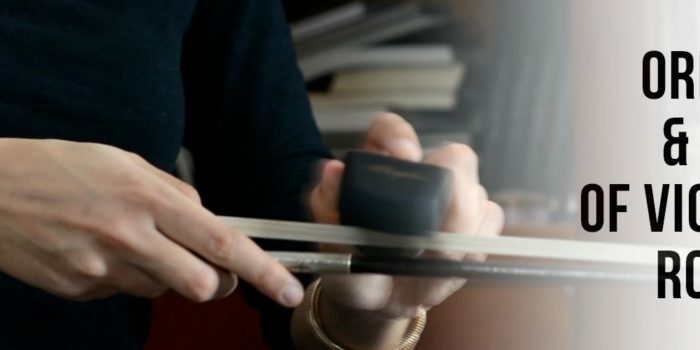 What is the purpose of applying rosin to your violin bow? Posted in Blog and taggued electric violin. 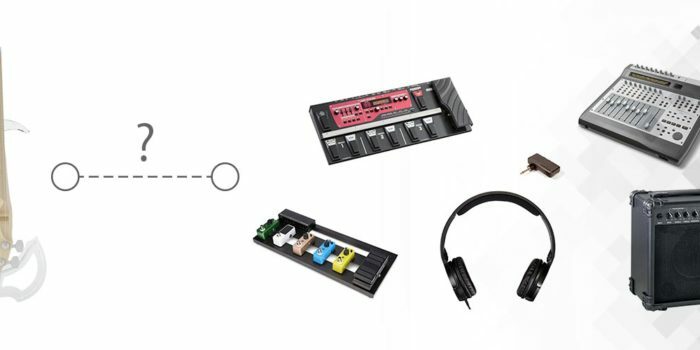 ← NewerHow to plug in and record an electric violin with a computer? 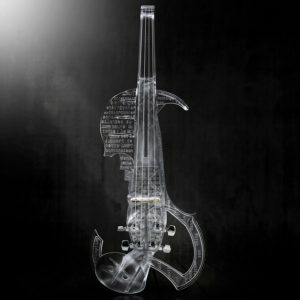 Older →How to connect an electric violin?